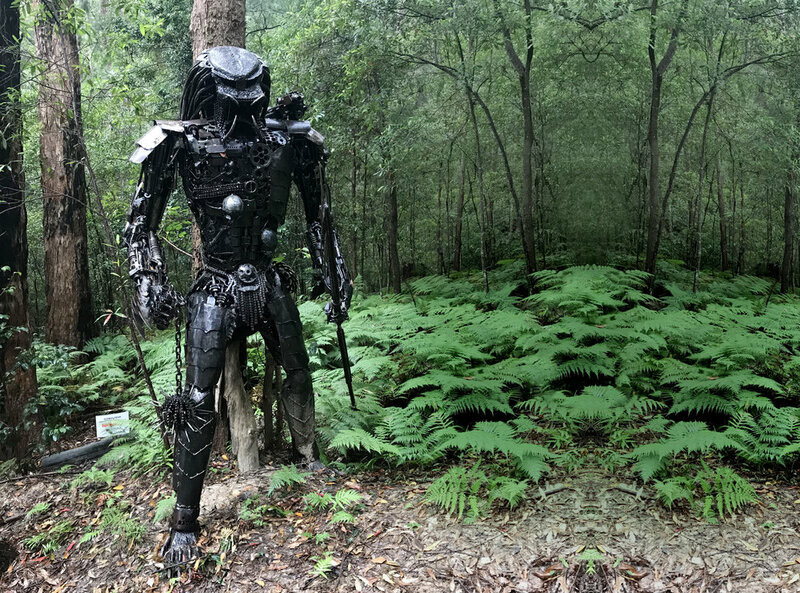 It’s not something you’d expect — bumping into Predator while bushwalking. 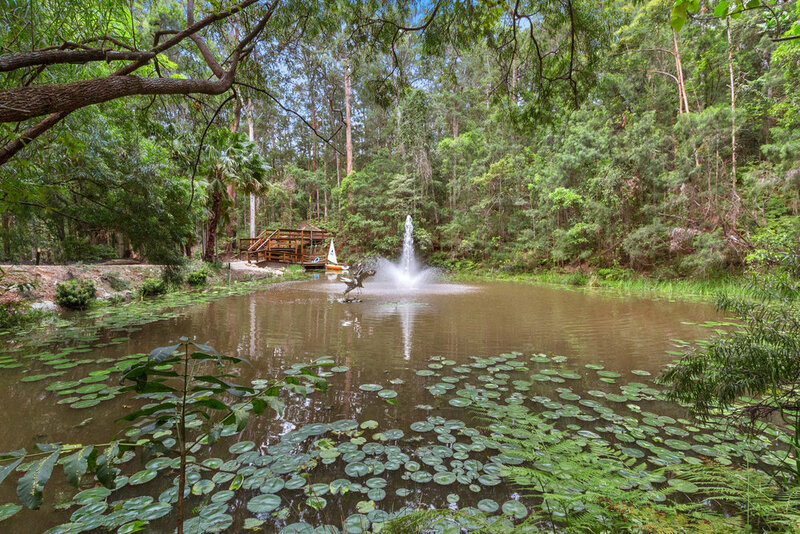 My partner and I are on a sculpture walk around the 50-acre forest-laden grounds of Mistere Spa and Retreat in Urliup, NSW, where we’re relaxing into a few glorious days of nature and art. The quirky Chinese Zodiac walk, which twists and turns through the stunning mountainside property, crossing creek beds and ravines, is flanked by every creature of the zodiac — hefty cast bronze heads perched atop wooden posts. We pass Pig, Dragon, Snake, Horse and Sheep, and then, lost in conversation, take a wrong turn. And there before us, Predator stands in all of his hideous glory, surrounded by tree ferns as though he’s just hacked through the undergrowth, a killer scythe in one menacingly outstretched hand and a metal ball on a chain dangling from the other, its razor-sharp spikes longer than my fingers. But rather than the 1987 version that Schwarzenegger was up against in the science fiction horror film, this Predator is more approachable. We close in on him and discover that he’s entirely constructed from bicycle and motorbike parts — an incredibly clever assemblage of pieces so meticulously fitted together that he looks perfectly armoured, if he does happen to come to life and meet some like-minded ‘folk’. We wander past a dam almost completely covered in lily pads, where a pair of silver dancing brolgas crafted from thin metal are glinting in the sun as they’re showered by a fountain. 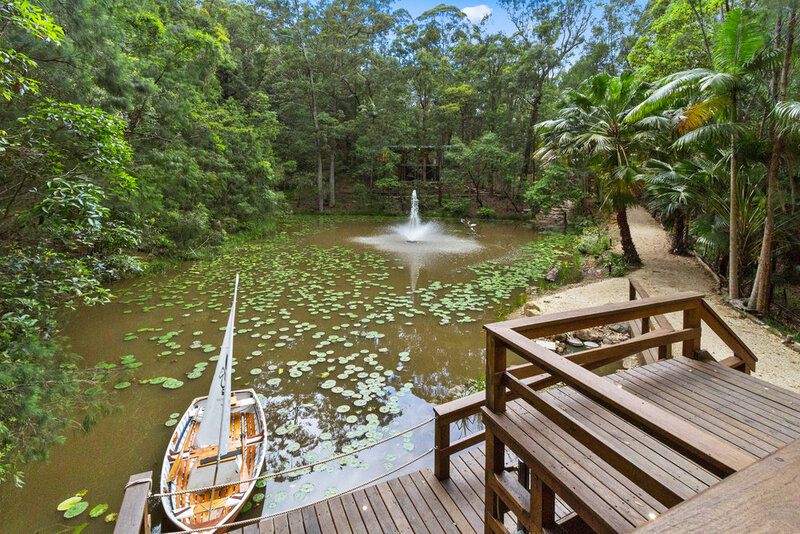 A toy-like wooden boat for two is anchored to a raised wooden seating area and bridge, there for those who’d like to paddle out and enjoy the rainforest from the water. Arriving back at our five-star villa tucked discreetly into this magical land, we make tea and sit on the enclosed balcony, complete with BBQ and lounge setting. The suite is fully self-contained so that you needn’t go anywhere if you so choose, and it has a room off the enormous bathroom with a spa that could fit ten. 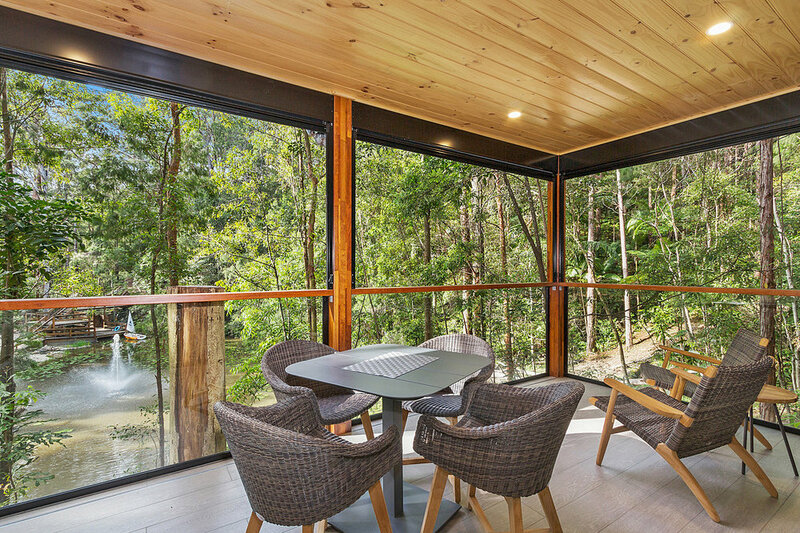 There’s also a two-person sauna sitting out front, with a perfect view of the Tweed Valley. This morning, thick mist is swirling its way across Mount Warning’s midriff, and the sun is breaking through the low-lying clouds and lighting up the valley from which bird calls emerge: bell bird calls blending in with the jolly warbles of magpies. Mount Warning is the largest erosion caldera in the Southern Hemisphere and is considered one of the world’s natural wonders. In layman’s terms, a caldera is a large volcanic crater formed by a major eruption leading to the collapse of the mouth of the volcano. Astonishingly, the caldera valley is over 1,000 metres deep and has a diameter of over 40 kilometres, making it larger than Tanzania’s famous Ngorongoro Crater. As the mist lifts, some of the area dubbed ‘Australia’s Green Cauldron’ is revealed. It was given this name as the uber-green scene before us has built up over the centuries on the fertile folds of lava that spewed from the monstrous volcano 23 million years ago, when its peak was 1.9km above sea level. Urliup is a short drive from the picturesque riverside town of Murwillumbah, which every year plays host to the Murwillumbah Art Trail. The festival runs for about 10 days and includes pop-up galleries, art workshops for kids and adults, and over 25 local music acts entertaining the ever-growing culture vulture crowds that pour into town. There are comedy shows, a film night at the local Regent Cinema (which has thankfully retained its old-world picture theatre character), art river cruises, a VIP progressive dinner through galleries after hours (promoted as ‘not snobby’), and an arty picnic in a sculpture park. The event wraps up with an evening at a pop-up gallery in a warehouse, where there’s music and entertainment and the final crowning of the winner of the Border Art Prize (BAP), which is a competitive exhibition that runs at the Tweed Regional Art Gallery for three weeks every second year. The major prize is $3,000, and this year Trinity Leonard from Lismore won first place for her oil painting titled ‘Hannah’. Tweed Regional Gallery punches way above its weight in terms of the gallery itself, and the artwork on display. Six exhibition spaces host all kinds of art events during the year, and the modern, light-filled building set upon a hill and surrounded by beautiful gardens has magnificent views of the Tweed River. Down there by the Tweed River, you can see the old farmhouse where legendary still-life painter Margaret Olley lived as a child. Her father once rowed her across the river every weekday to school, and she grew up surrounded by cane fields and nature. Olley passed away in Paddington, Sydney, in 2011, but before she died she bequeathed a still-life display of her life to this gallery that was close to her heart, by the creation of the Margaret Olley Art Centre (MOAC). MOAC is a mind-boggling recreation of Olley’s former home in Paddington, including more than 20,000 items that she collected and arranged (somewhat haphazardly in some people’s view) for subjects in her paintings. Original architectural elements from her house, including windows and doors, were also relocated or recreated, so that visitors can literally peek into her home and see the piles of magazines, the hundreds of vases and flowers that she liked to collect (she’d let them die and then paint them years later as dried flowers) and the most fascinating details of her life as a prolific artist. I think it’s as close as you’ll ever get to being able to step inside an extraordinary artist’s mind, if you’re not one yourself. After our fill of art, we decide on local institution Mavis’s Kitchen for dinner. This gorgeous restaurant is housed in a classic white-washed weatherboard Queenslander with a romantic picket fence-like staircase and verandas hugging it on every side. It’s been pulled apart and moved twice (because the owner was attached to his old aunt’s place where he grew up) to find its resting place on verdant pastures from which much of the organic produce on the menu is sourced. It’s no wonder that Mavis’s is booked for weddings all year round — it’s a fairy-tale setting with a mountain backdrop crying out for ladies in lacy white dresses to grace its gardens. 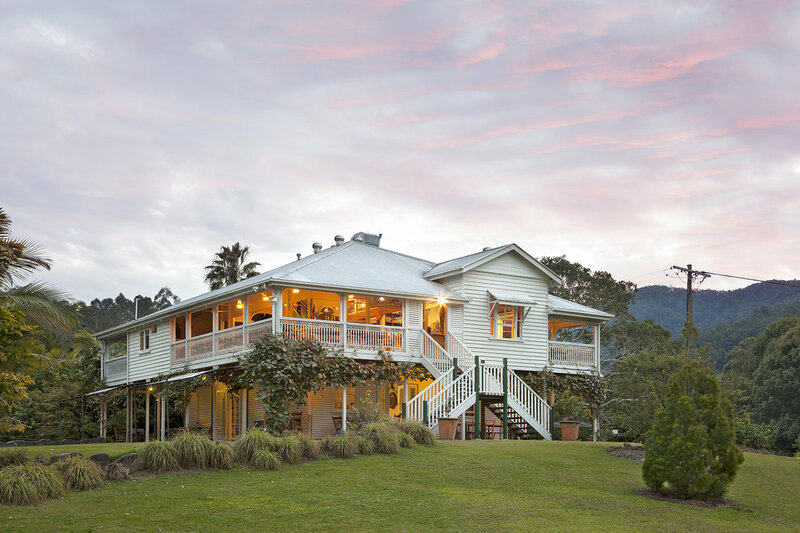 There are so many wonderful eateries in these parts, but another that stands out for its charm and homemade fare is House of Gabriel in the riverside village of Tumbulgum. 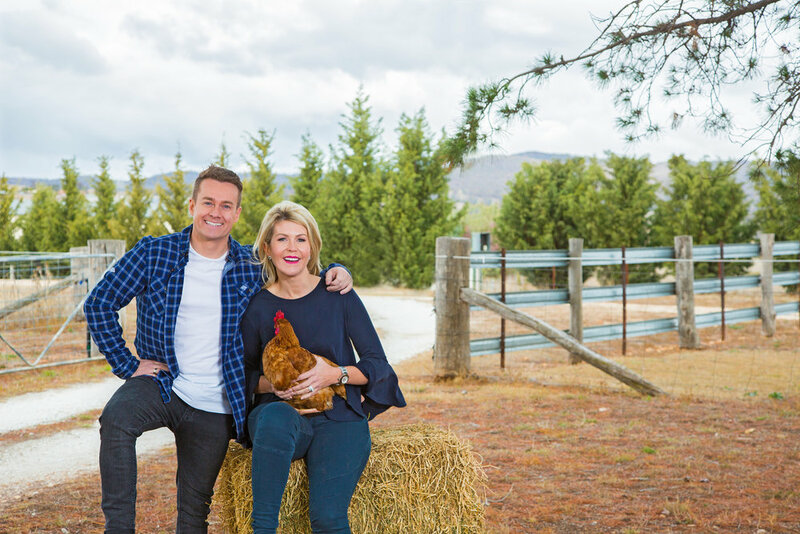 Don’t leave town without trying its corn fritters and arancini balls, and if it’s an afternoon tipple that you’re after, fit in an Ink Gin and tonic — the creators (Husk Distillery) are just up the road, and soon they’ll be launching a new kind of rum, created from the sugarcane plantation surrounding it. A rum bar, café and rum-tasting experience will all be unveiled towards the end of 2018, so watch this space. On our last day we book a three-hour, five-course Seafood Degustation Cruise on the Spirit of Wollumbin, a traditional Huon pine river ferry. The onboard catering team entertain guests as they dish up delectable dishes crafted from local seafood and produce and foraged bush food components. A soft-shell crab salad is a stand-out, and the pumpkin soup is as good as mum makes it. Garlic prawns and Balmain bugs are barbecued on a camp stove, and wine glasses are filled as the boat glides smoothly down the river. Before us is an ever-changing kaleidoscope of local life — dense, bird-filled rainforests and mangroves, sprawling sugarcane fields, farmhouses with families fishing off their pontoons and river clifftops and locals set up on the riverbanks with picnics and eskies — that has everyone waving, pointing and smiling at the good life. By the time we dock in Tumbulgum, we’ve made friends and learnt about the many villages and farmlands that make this region so special. Rising above us is majestic Mount Warning — an extinct volcano that thousands of artists continue to fall in love with every day before and during their attempts at capturing its ever-changing moods. Rising into the sky, like a giant capturing clouds and sunshine on its hat, it’s a stunning backdrop that ties every one of our relaxing days here to the glorious Green Cauldron.